Welcome to New Jersey Beagles at Breezy Point. Please feel free to browse through my Website and learn about me, my show beagles, and our beagle puppies. But first I would like to explain that we are reputable breeders. There are a lot of things we DON'T do to proudly keep that title. I encourage you to learn more and make an informative decision by reading our Breeder's Message. 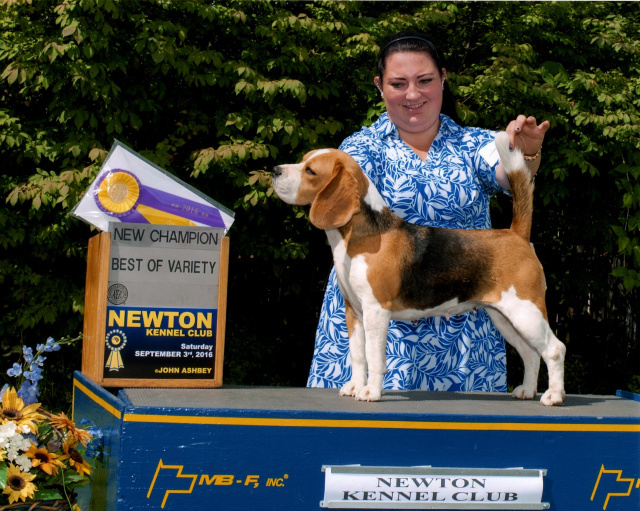 New Jersey Beagles is located in the mountains of Northern New Jersey. We're about 1 1/2 hours from NY City, and about 2 hours from the Princeton area. We live on 7 beautiful acres of mostly wooded property. The dogs love the fresh air and wide open space to really let loose. Our kennel is built around a large heated and air conditioned Victorian style building where our dogs come in and sleep at night. We have a big fenced-in area, (6' x 60' x 140') so there's lots of room for our dogs to run, play, and get plenty of exercise. Our puppy nursery is a seperate building which is also heated and air conditioned to keep our puppies comfortable during any season of the year. There the pups live with their mother and littermates until they are weaned and then ready to leave to begin their new lives with their new families. The pups are closely monitored as I spend most of my day caring for them and when I'm not there, wireless camera's and internet connections using a webcam keep me right there. I can also monitor the temperature in the nursery and adjust it as needed. It is important to know that NJB's does not ship puppies, so if you live out of the tri state area and are looking for a beagle puppy but can not pick him/her up in person, we will try to help you find a reputable breeder closer to home. It is important to us that we meet our potential puppy families before selling, as I'm sure our families would be more comfortable, not only meeting us, but seeing our facility, and meeting our beagle family. I've loved the beagle breed my whole life and have dedicated myself to the well being of these beautiful animals. Our dogs are given lots of love and attention and are only bred to produce happy, healthy, playful puppies that YOU would be proud to have as part of your family. Our pups are bred from two championship lines. "Field Trial" champions and champions of the "Show Ring." Our show dogs are bred from the best of the best with many champions and "Grand Champions" in their pedigree. We're proud to say that four of our show dogs have earned their championship title, with two others that we're currently showing at this time. 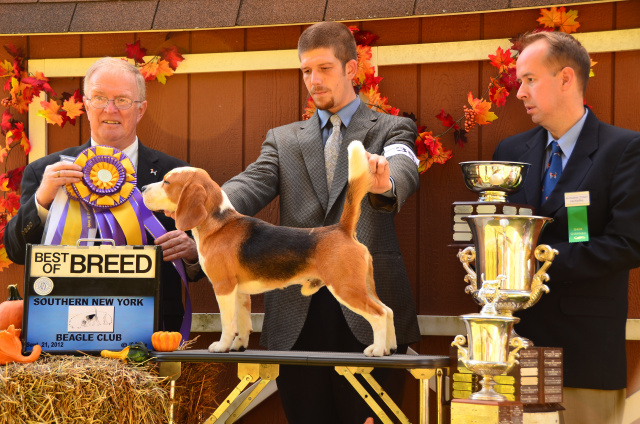 Our boy Coolio became a " Bronze Grand Champion," and is the proud winner of the 2012 Southern NY Beagle Club Specialty Show. He has also competed at the Westminster Dog Show from 2013-2015. 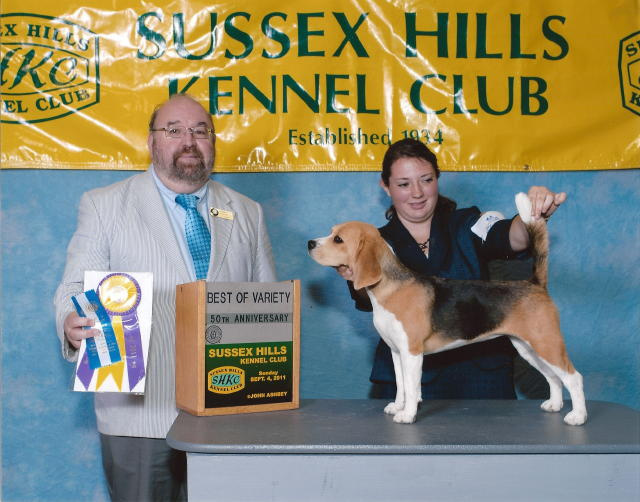 Whether you're looking for a show quality puppy or an excellent quality house pet, New Jersey Beagles is totally committed to making your beagle experience the best it can possibly be. Building a life long relationship between ourselves and our puppy families is something we encourage and strive for at New Jersey Beagles. If you have made up your mind that you only want a new puppy from a reputable breeder, we may be able to help you, but please don't discount the possibility of adopting a rescue beagle. There are far too many beautiful beagles needing a foreverhome. You can check out New Jersey Beagles "" page on this site, as we do look for special homes for some of our adult beagles from time to time, or simply click the following links to SOS Beagle Rescue, Penny Angels Beagle Rescue, or Beagle Rescue League, Inc. All three rescues are based out of New Jersey and have dogs in desperate need of a good, loving, forever home. Perhaps a home like YOURS! Please DO NOT support puppy mills by patronizing pet stores or by having your puppy shipped from some out of state Internet Website who is mass producing puppies. Watch this video to see where your puppy might be coming from should you decide to purchase your puppy this way. In either case, while you're here feel free to make use of my entire Website. If you're one of the unfortunate people who have lost your dog and would like a place to visit him/her, New Jersey Beagles does invite you to send us a photo of your dog with his/her name and a eulogy so we can honor his memory in our pet cemetery. 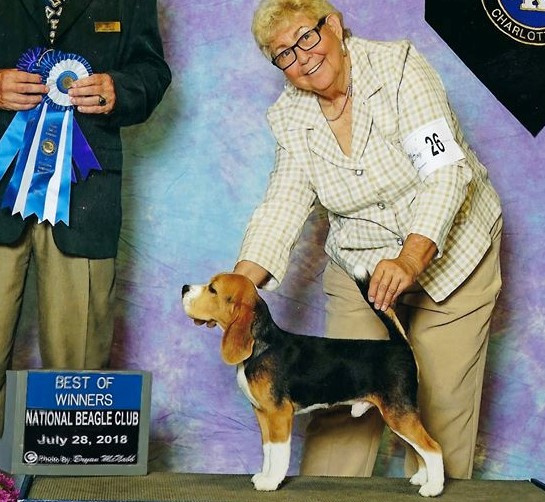 New Jersey Beagles is not only a great place to find an excellent quality beagle puppy, it's a great source for good information and support about the beagle breed. Happy Beagling and thank you for visiting New Jersey Beagles. I hope you come back and visit us often. Our dogs and puppies are all registered with the American Kennel Club. Our kennel is also inspected by the American Kennel Club and pass with the highest grade possible. has a name very similar to mine. We are New Jersey Beagles At Breezy Point. 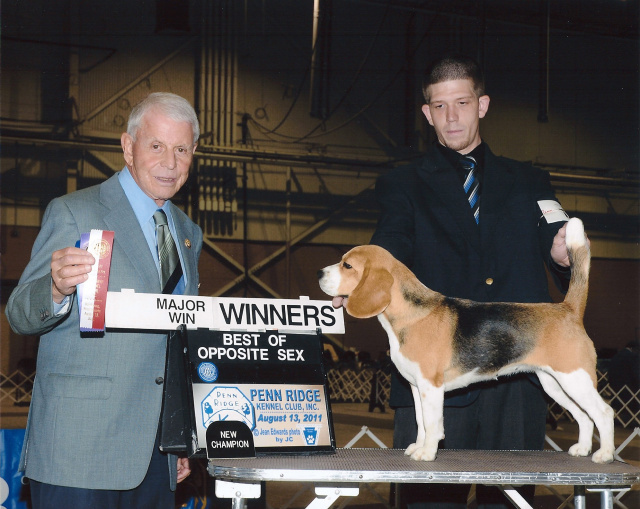 Please do NOT confused us with New Jersey Beagle Breeders. 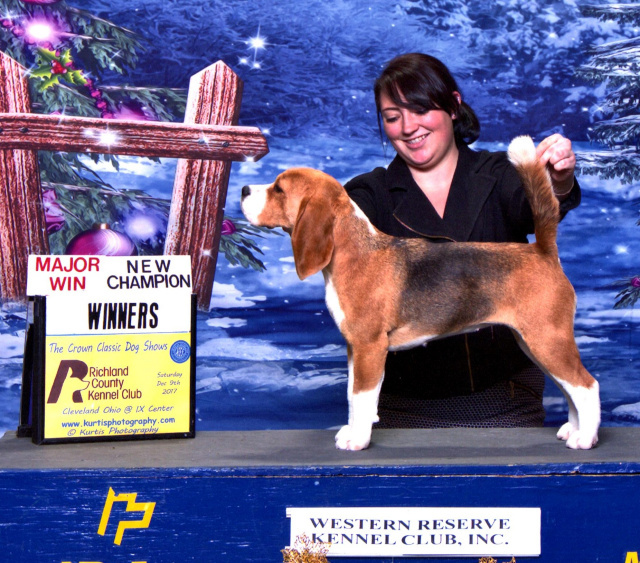 New Jersey Beagle Breeders are agents selling puppies from so called "Breeders"
from all over the country site unseen. This is NOT how we operate.